Boca Juniors and River Plate have flown to Madrid for the delayed second leg of the Copa Libertadores final. 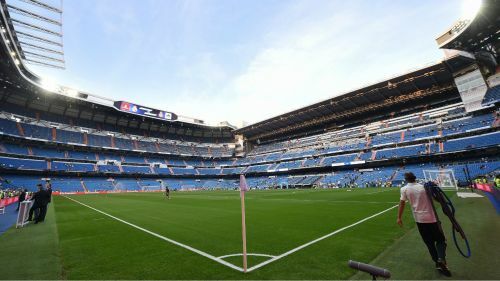 Real Madrid's Santiago Bernabeu is set to host the match on Sunday despite both clubs protesting against the decision from CONMEBOL. After a 2-2 draw at La Bombonera in the first leg, River were set to host the return fixture, but a violent attack on the Boca team coach led to a delayed kick-off, then a postponement. The game was planned to take place 24 hours later at El Monumental but the decision was then taken to postpone the final again, despite protests from River. After CONMEBOL's announcement that Madrid would instead host the final on December 9, both Boca and River filed complaints against the move. But it appears Boca and River have now accepted the final will be played in Madrid, with both squads flying out to Spain on Wednesday. The decision to move the final outside of Argentina has been hugely controversial and Boca legend Juan Roman Riquelme has been among those to speak out against the decision. "It all seems very strange to me – it's strange for all of us," the former Argentina international said to Radio Mitre. "The Superclasico is one of the few things that is ours – like our barbecues, mate, dulce leche… whatever. "The Superclasico is ours and they've taken it away from us. It's our party, in our country – a game between the biggest two clubs in the country. "On the one hand we have to feel proud to have two Argentine teams in such a prestigious final but it's sad that it's going to be played in another country. "It would like staging a Champions League final between Real Madrid and Barcelona here in Buenos Aires – you can't just take a big final somewhere else like that, it wouldn't be the same. You lose something. "One or the other will win and, as a Boca fan, I hope it's Boca but they are only playing this game because the Club World Cup is around the corner – that's the only reason. "It's going to be strange – playing the game in an unfamiliar stadium with many players who have never played in Europe before. Whichever team enjoys the experience of playing at a big stadium like the Bernabeu will have the best chance of winning the trophy. "I'll be turning on the television to watch it on Sunday but for me, it won't be the same, it won't be like the Copa Libertadores – it will be the most expensive friendly game in history."